BASCRM Editors can easily be viewed, edited and shared in the cloud from BASDrive. Support for all major formats: PDF, TXT, DOCX, DOC, ODT, RTF, HTML, EPUB, XLS, XLSX, ODS, CSV and PPTX. BACRM Editors are fully compatible with Microsoft Office. 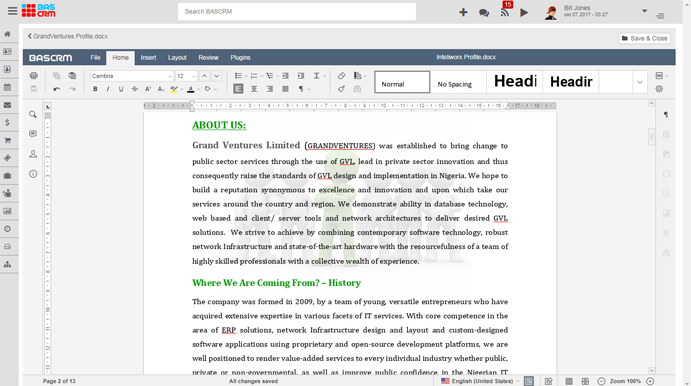 BASCRM Text Editor has everything you would expect from a modern, fully equipped word processor. Designed with simplicity in mind but yet powerful enough to create complete books with contents, diagrams, indexes and much more. Add links, tables and charts, insert images, auto shapes, formulas and text objects and manipulate them, create a bulleted or numbered list and more. 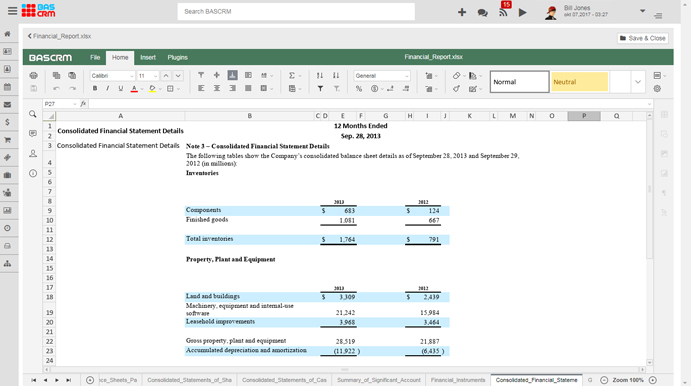 BASCRM Spreadsheets are designed to allow users to organize, format, and calculate data with formulas in the cloud. Presentations have become synonymous with business meetings worldwide. 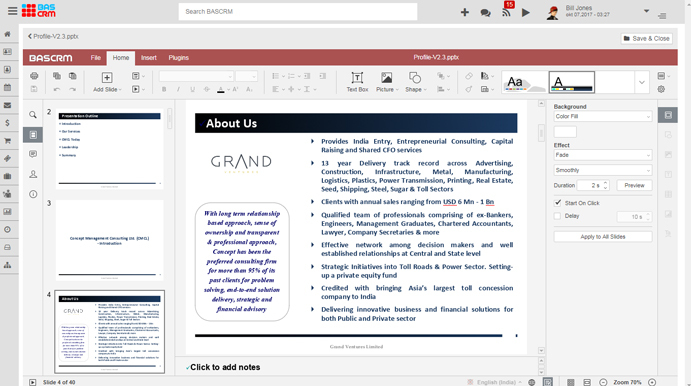 Take advantage of BASCRM Presentation Editor to make a vivid demonstration of your new project. The application is designed to help users create informative slides that can contain text, text, graphics, movies and similar objects. One Tool, Everything You Need. We are a Software as a service (Saas) provider of enterprise cloud computing solutions. BASCRM was created to enable businesses to create extraordinary customer relationships. We are on the mission to deliver best in class cloud computing software. Our highly scalable distribution platform allows organizations to unlock their true value and focus on the core business. Choose your way to collaborate on documents with your teammates: Fast to show all changes instantly or Strict to offer some degree of confidentiality showing the changes after saving only. Commenting and built-in chat, reviewing and tracking changes are also available. Give us 15 days and we'll show you how BASCRM can help you to increase your productivty and attract new customers. Let Us Help You Achieve More. Free 15-Days Trial!